School safety encompasses many things. It covers all measures taken to combat threats to people and property in education environments – from fire and break-ins, fights among students, emotional abuse, vandalism, gang activity, drug dealing and even threats from parents or siblings. Finally there are school shootings, which luckily are still quite rare in Europe, but still exist as a possible threat. A safe school should have a plan to handle all of these issues. When even the teachers’ union in peaceful Sweden decry the safety of their schools, it’s probably time we listen. While the situation is thankfully not nearly as dire as in the US, violent attacks have occurred both in Sweden and Finland – countries known for their open, progressive schools. 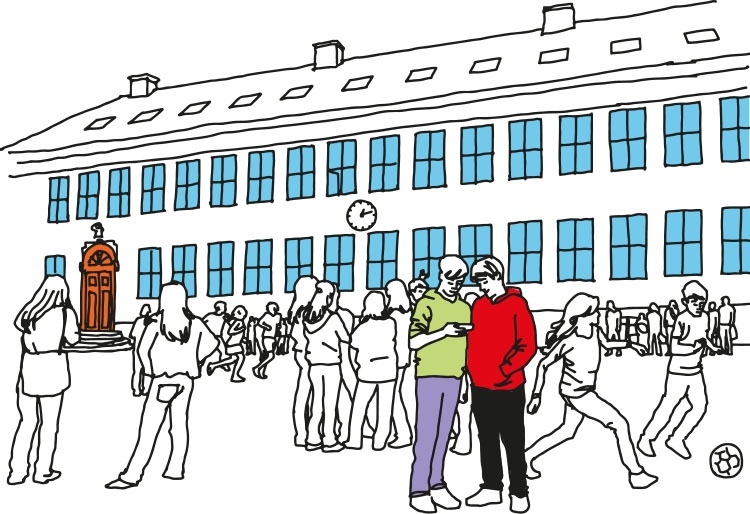 In Norway, there’s been an increasing frequency of violence and threats in the schools, especially in Oslo. This does in no way, however, mean that this is only a big city problem. The trend is far more general. Obviously, we need to ensure that all schools stay safe havens for all involved. But how do we go about this without compromising their openness? Whenever certain safety measures are proposed, there’s usually a backlash from those who feel they go against the component of trust in the European school system. Schools are supposed to be open, pleasant places, and if you begin to install cameras, gates, locks, or even do full body scans of everybody who enters, that’s going to change things drastically. Clearly, nobody wants school to feel like a prison. The trend in Europe tends to lean more towards fighting, threats or vandalism, rather than school shootings. You could make a case that our worry about the latter is overblown, which also means less severe measures are needed. It’s quite possible that the best solution would mainly address the more common incidents, without reaching the levels of metal detectors or body scanners. If the solution could also aid in preventing the most extreme situations, that’s a bonus. It would be natural to look towards Finland for answers, as their school system is world class, but also because they actually did experience two shootings a few years back, both within eleven months of each other. They considered measures like bullet proof glass and metal detectors at the entrances, but eventually landed on a more subtle approach, that would keep the environment of trust intact. An official report recommended that each school should create (and rehearse!) contingency plans, as well as performing yearly evacuation drills, in addition to more architectural measures like escape routes and glass walls. We’d also add that quick communication is essential for a contingency plan to work. Most incidents are over in 10-15 minutes, so acting quickly is of the essence. If we eschew possibly extreme measures like strong locks or metal detectors, the least we could do is to make sure the relevant people are immediately informed, in detail, about ongoing threats if they were to occur. This is something to keep in mind for those yet on the fence. The choice is ultimately up to each school or the municipality it belongs to, but taking no precautionary measures whatsoever is likely a little too naive.